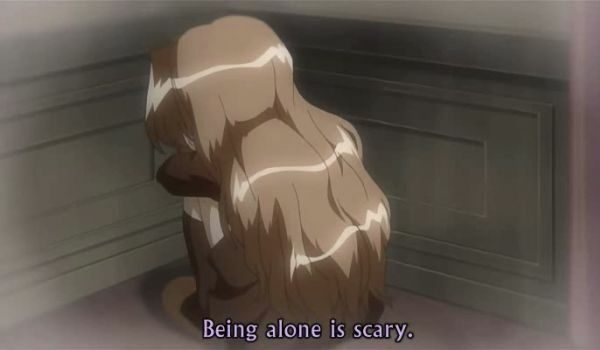 Being alone is scary for neurotypical humans. Â Obviously their vocal cords never fall into disuse with that attitude. Â Not so us porcupines. For years, I have not talked much. Well, hardly at all outside work, and not much at work. After all, I work with computers. I also help people with their computer problems, but for years I mostly did so for the dozens of people in the same house. Â Looking back, I did not know how good a time I had! Â Not that it is all that bad now. Â But back then, there was little reason to say more than a few words when someone had problems. I would go to their office and see for myself. Â If they talked to me, they could see that I was listening, so there was no need for me to talk except for essential questions and the occasional reassurance. Lately my work has changed so that user support is now mostly on the phone. This is very nearly the worst kind of talking for me, as I have to speak fairly loudly and clearly. Â (Talking in a noisy place is even worse though.) I have been allowed to do mostly non-talking work after I explained the situation to my boss. Â But the work at which I am competent is slowly being phased out, and despite numerous requests I have not been formally taught anything new. Â For obvious reasons, I cannot just ask my innumerable contacts inside [Himitsu Corp.] since I don’t have any, not speaking to people. So in the end, after talking (painfully) with an old friend about the matter, I called the rural clinic where my “fixed physician” works (that is a literal translation of the Norwegian word “fastlege”, although the concept itself is hard to believe for the American reader. Â Basically you are assigned a doctor from those who have a deal with the State, but you can apply for another if you feel the need to.) Â I got an appointment for today at 11AM. This morning I got a mail from Google, since I had added a mail alert to my appointment. Â (I am horrible with appointments, especially doctor and dentist.) This ability to add mail and on-screen alerts is nifty enough, but what impressed me was the extra service: Â The name of the rural clinic, which I had added in the location field even though I knew where it was, was now blue and underlined. Yes, it was a link to a local map. Â It is not like I needed that, but I was impressed that Google had located the address on its own, without me needing to ask. Â Since the name was unique (probably in the world, given that it contains a special Scandinavian letter) it was probably easy for Google to find, but it was still nice of them to do it without being asked. I, for one, welcome our new robotic underlings. There is no pill for the affliction, as expected. Â (I have peeked around online after all.) Again, this makes sense if it really comes from prolonged silence, since this is so rare. The doctor promised to refer me to a specialist, who will send me a letter with the appointment in good time. Â It will take at least a few weeks, thought the doctor. Having lived with this for years, I am OK with that. Â There may be laryngoscopy though, if worse comes to worse. This may not necessarily prove fatal, but I notice that in lawyer-happy countries you have to sign a form that says it is your own fault if you die from it. We don’t have that here in Norway, as you can’t sue doctors anyway. They are partially employed by the Â State and even if they accidentally kill someone, they only get a stern “Uff da!”. Â If they just keep killing and killing people, they may eventually be asked to stop practicing, but this is exceedingly rare. Â Of course, it is exceedingly rare that people die from this stuff anyway, but I just want to point out that Norway is not America. Â Mostly we are thankful for that, of course. But until further notice, if I don’t keel over from unrelated reasons, I should make sure to talk some every day, and keep water handy for drinking between bouts of talking. Â This sound advice set me back a few dollars, the State probably pays another goodly sum for the doctor’s time. Â I think the fact that we have to pay anything at all is mostly to discourage people from showing up with random insignificant stuff. Â Of course, we do that anyway, we just don’t know it is insignificant until at some point during the visit. In addition to posting things on your Buzz homepage (like the “wall” in a certain competitor) it also harvests Twitter, as already mentioned. Â Unfortunately it is one way only, probably because Twitter has a much smaller maximum post length. But even short posts are not relayed. Â Another source is Google chat status messages. (Like, “Out for lunch”, “Meeting with boss”, “Busy making love” – not necessarily in that sequence and not necessarily right after each other.) Then it harvests pictures from Picasa Web and Flickr, videos from YouTube and blog posts from Blogger / Blogspot. Â So much for microblogging. Â It is clearly pretty open for Google-owned stuff, while few outsiders get in. No LiveJournal, no WordPress, and noticeably no FaceBook in either direction. Rivalry from first buzz! So I have had this a couple days now, since it came out. Â I turned off the option to show who was following me and who I was following. I don’t have a problem with telling who I read, or would read if they posted anything, but it is not my right to publish choices that other people have made. Â They may have reasons to not want to appear online more than strictly necessary, for all I know. Â Since you either have to publish both or none, none it is. So I worked a bit on my Google profile (which is mostly hidden for those of you who are not my contacts) and there it was again. Â I had typed in my address, and Google showed it in the map. OK, so it is two houses wrong, but it is really close. Â Again, I did nothing to instigate this. Â It just integrated Google Maps on its own. This is boding well, I think. Â Computers should not just answer our questions, they should also have the answers to the questions we didn’t know we could ask. This is not the only invention that makes life easier for computer users. For instance Windows Vista introduced Superfetch, which keeps track of what programs you use and load them while you don’t use the machine. Â This would have been an awesome idea if people used computers with lots of memory at the time Vista was released, but most only do that now that Microsoft has switched to the more memory-frugal Windows 7. Still, it was a good idea, in principle, especially if you don’t have users like me who gets deeply suspicious when the computer starts running the hard disk in my absence. Â Is it perhaps a virus, is what I think then. Â But eventually I drew the conclusion that it was Vista that was the virus. Â Still, it works well enough now that I have a 64 bits processor and 4GB RAM. In the future, if any, I hope to see computer programs that take advantage of extra information they have, to make life easier for the users. Â I also hope to be able to talk, but even more I hope not to need to. This entry was posted in my health, slice of life, software by itlandm. Bookmark the permalink.